Stating that the intent to slap sanctions on Russia was to impose costs for its "malign behaviour", the US also made it clear that any waiver will be considered on a transaction-by-transaction basis, adding it cannot prejudge any sanctions decisions. NEW DELHI: In a guarded reaction, the US Friday said its intent to slap sanctions against Russia was not aimed at imposing damage to the military capabilities of its "allies or partners," shortly after India concluded a deal for purchase of S-400 missile defence system from Russia. Responding to a query on impact of anti-Russia sanctions on India after the conclusion of the S-400 contract, the US embassy spokesperson said, "waivers of the Countering America's Adversaries Through Sanctions Act (CAATSA) section 231 will be considered on a transaction-by-transaction basis. We cannot prejudge any sanctions decisions." "The intent of our implementation of CAATSA is to impose costs on Russia for its malign behavior, including by stopping the flow of money to Russia's defense sector. CAATSA is not intended to impose damage to the military capabilities of our allies or partners," the spokesperson added. 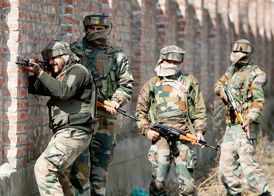 However, the spokesperson said, "the waiver authority is not for a blanket waiver. It is transaction-specific. There are strict criteria for considering a waiver." The US reaction came after India and Russia concluded the USD 5 billion S-400 air defence system deal, notwithstanding the US warning that the deal would be a "focus area" for it to implement punitive sanctions against a nation undertaking "significant" business deals with the Russians. 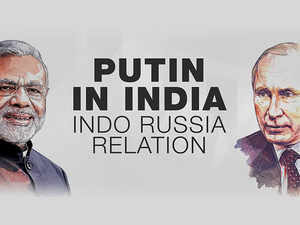 The deal was concluded during the visit of Russian President Vladimir Putin for the annual summit with Prime Minister Narendra Modi on Friday.